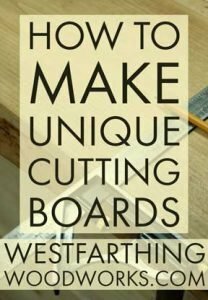 This is How to Make Unique Cutting Boards, your guide to making cutting boards that stand out from the crowd, and are a cut above the rest. After you read this guide, you’ll never look at your cutting boards the same way again. Enjoy. Cutting boards are everywhere. 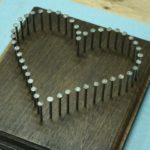 This is one of the very first projects that a lot of woodworkers attempt, and it’s also one of the very first projects that they try to sell. They are extremely easy to make, and they’re also inexpensive. This is part of the reason that they are so attractive to new woodworkers. 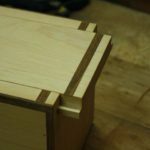 In an effort to make unique cutting boards, new woodworkers however can struggle a little bit. It’s hard to learn a new skill on top of reinventing a design. That being said, there are a few ways that you can look at your cutting board a little bit differently than you might have already. 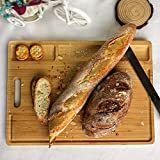 These will help you make your cutting board stand out from everyone else, and also give you a better chance at selling them. Even if you don’t plan on selling your work, it’s always nice to show up with something that is unique and interesting. Everyone in the world has a flat cutting board that’s made from wood. You can get those from the grocery store. 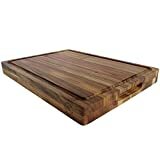 If you are going to put in the effort to make a handmade cutting board, then you really should be shooting for a unique board that shows off your woodworking awesomeness. 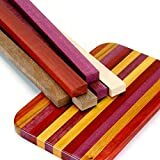 The first thing to do is think about doing something different with your cutting board in order to make it unique to all of the others that are in the market. In order to do that, you first need to take a look at the cutting boards that are already in the market. Spend a little while looking at different cutting boards online. One of the best places to look is Pinterest, because you’re not going to find run-of-the-mill examples. Well, you’ll find some, but mostly you’ll find unique pieces. Spend some time analyzing what’s out there, and over time as you are exposed to many different models, you will start to build a mental idea of the standard. Once you know that standard, it’s time to do something different to make yours stand out. Don’t skip this part of the process. In order to create something unique, you need to know what the standard is. It would be like asking you to create a unique sanding block, and you have no idea what sanding blocks even look like. 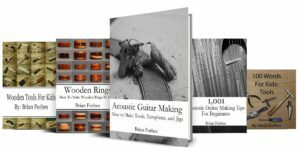 Use this part of the process as academic study to get an idea of the normal, and also pick up some ideas for the unique. You will get an even mixture of both through research, and you’ll even find new ideas that you hadn’t thought of before. Something you can do right out of the gate to make your cutting boards better than the rest is to use a better wood. Especially when you look at the cutting boards that are being sold in the stores, you can definitely improve on the wood. Depending on price point, most of your cheaper cutting boards are going to made from common wood species that can be found anywhere. These are plain, and not a very interesting species of wood to look at. 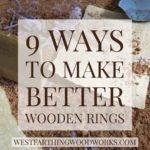 If you start with something more interesting right from the beginning, you can immediately create a different look simply by the wood that you choose. Your process will be the same afterward, but your look will be much different. For example, if you were to use a more exotic wood species that has a brilliant color, you could easily out-shine a common oak cutting board. The building process would be the same for both, but you would have the audience. Most cutting boards are made from narrow pieces of wood that are glued together along the edges to create a larger, solid board. This board is then trimmed down to shape, and the result is a cutting board made of long narrow lines. This has been the standard for many years, and it’s what most major manufacturers choose as their standard. 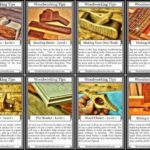 If you want to make a unique board, then try a different layout instead of the normal. 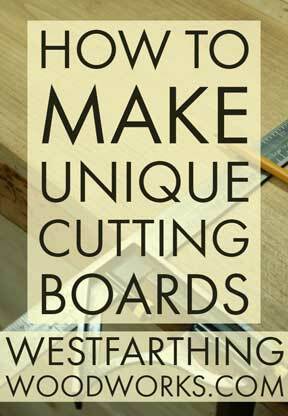 This will create an immediate visual difference in your cutting boards that other cutting boards simply do not have. This doesn’t necessarily mean doing anything crazy, it might just mean experimenting with different widths of pieces that you edge glue together. You might also take a look at using end grain pieces, which is starting to gain popularity but is by far not the standard. You can look at arranging the wood in a different direction, or just creating a more eye-catching layout. Either way you do it, this is going to be a whole lot better than laminating a bunch of sticks together that are the same width and the same species. All that does is create a functional cutting board, not a unique cutting board that you would be proud to show other people. Why is it that a cutting board has to be a rectangle? I understand that there is some function in a cutting board, and a large rectangle tends to fit the bill pretty well. However, when dealing in the world of the unique, standard just will not do. Why can’t you make a round cutting board? How about a big square? Maybe something really long and narrow? There are a number of different shapes that you could consider, and it’s definitely worth looking into them for your designs. There are also opportunities for making designs that look like other things. For example, you can design a cutting board that looks like a guitar body, or a chili pepper. These are much more unique than the standard rectangle, and they get noticed. Most cutting boards are fairly thin, coming in at around an inch. If you want to make a unique statement with your cutting board, then try something different for your thickness. This could be thicker or thinner depending on how you decide to approach it. In general, it’s better to go thicker than thinner for a cutting board. These tend to get wet, and a very thin board might warp or twist and not work as well. You can always try it, but be prepared for a little bit of wood movement. Since thinner has an element of danger to it, maybe try making a board that is overly thick. This can be something that is 2 inches thick or more, and very heavy. A board like this will scream quality and craftsmanship, and can sell for a higher price. 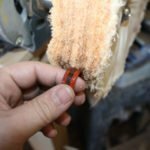 You may end up with something that can be a family heirloom, and as the surface becomes worn over the years there is enough material left to sanded level again and apply more oil. This might even be a service you offer to your customers down the road for a fee. You resurface their boards and they’re back to day one quality. Another fun way to make your cutting boards more unique and get them to stand out from the rest of the examples in the marketplace is to add a unique feature. This can be something very uncommon, but still very useful while operating the cutting board. And example that comes to mind is a small tray that slides into the body of the cutting board under a opening at the top. This opening is where you can slide all of your scraps from cutting, and they will fall perfectly into the bin. Once the bin gets full, the user can slide it out and empty the contents in the trash. This is much easier than trying to scrape them all off of the board and balancing them while taking a trip to the trashcan. Another thing you could do is add handles, metal plaques with your logo, and other functional features that are up to you to dream up. Sometimes a winning feature is all that it takes to make your design more unique than the others. One way to make a cutting board unique is to think about the purpose that the end product is going to be used to accomplish. 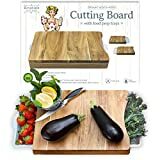 While most people associate cutting boards with chopping up vegetables, there are other types of cutting boards as well. Cutting boards for bread are very interesting, and unique to. They tend to be narrow, and long which is very similar to a loaf of French bread. A person may like coming out of the kitchen with a long wooden board and a freshly baked a loaf of French bread on top for their guests. Being a woodworker, you can provide that unique experience by making boards that are sized perfectly for cutting long loaves of bread. You can also make boards that are used for cutting cheese, and serving dip. If you think about all of the different things that you could serve on a board, or that you could cut on a board, there are far more options than just vegetables. This is a way to be unique and different, and you will immediately be noticed. 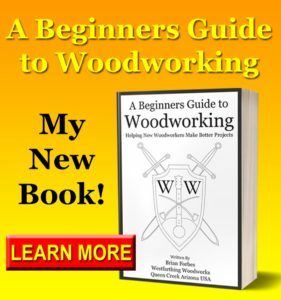 Now that you know all of these different ways to make awesome, unique cutting boards in your woodshop, it’s time to get out there and take action. Pick one or two of these design ideas, and start drawing. Start simple at first, which may sound bizarre because we were just talking about unique but you can still be unique with a design that is easy to accomplish. If your first design is a 5000 piece mosaic cutting board, you might be asking for too much too fast. There is nothing wrong with shooting for the stars, just try a few designs that are a little bit quicker to accomplish before you hop in the rocket. Once you have a few cutting boards under your belt, it will be easier to take the next steps. If you have any questions about making a unique cutting board, please leave a comment and I’ll be glad to answer them. Happy building.